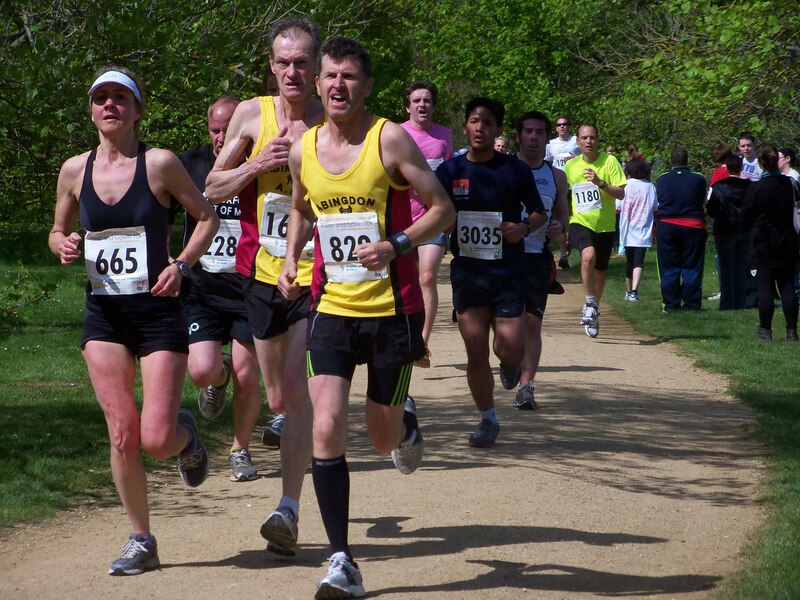 This weekend saw the 31st running of the Oxford Town & Gown, a fast and flat race through the town centre of Oxford. It’s a race I run pretty much every year, and was the home of my 2010 10k PB of 37:59. I had run my PB a few weeks after the Paris Marathon; with the endurance race out of the way, I’d worked on building my speed. This year I hadn’t put in the speed work (the closest I’ve come has been a relatively regular threshold run), but the marathon fitness was there (having run the Virgin London Marathon three weeks earlier, and due to run the Edinburgh Marathon in two weeks’ time). My post-marathon plan is to focus on shorter distances and put in a dedicated effort to build up my speed, so I decided to run this year’s race as a diagnostic. Lining up at the start I got chatting to another runner trying to judge the pace. He was planning to run around his PB time of 37:50, and I kind of expected to finish in 38-something, so we decided we were around the right point. Once the race started and the surge of runners had started to steady I passed the bloke I’d been talking to. In fact, since there are many runners who run the Town & Gown year on year, there were a few other faces that I recognised who I would normally have been running behind. 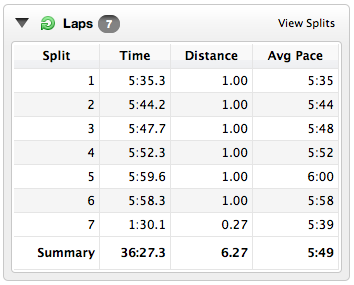 I was feeling good, although aware I was running fast, so decided to keep at the pace and avoid looking at my watch. I didn’t want to see my time and start thinking that I couldn’t keep it up as that would stop me running on feel. The kilometres ticked past and I kept on picking off other runners, tagging along behind a small pack. Coming back round past University Parks the course loops so that there is a two-way stream of runners, at which point I heard Dom yell ‘Lewis!’ in much the same way as he had the year before. (In fact, slightly earlier than the year before since Dom would go on to run a ‘retirement’ PB, swearing to hang up his trainers post-race. Of course it’s now my mission to convince him he wants to go race again… Oxford Half-marathon, perhaps?) And then I passed the 5km marker and chanced a look at my watch: 18:02ish. I was starting to feel the pace, but determined to try to hang on as best I could. Others around me must have been feeling similar pressures because I was still largely overtaking, although I spent a couple of kilometres jostling for position with a guy in a green top. The final 3km always drags out as you enter the park, snaking around with the finish line (and cheers of spectators) tantalisingly close. After the 9km mark the pack of runners thinned out a little and I was still holding on close to three or four guys running ahead. I didn’t have a sprint finish in me by the time I got to the final grass stretch to the finish line, but I might have managed to close a metre or so on those ahead of me. I’d known I was on for a good time based on my half-way split, but in the vent I had knocked a hearty 90 seconds off my PB, finishing in 36:29. Naturally, I’m very happy with that – it was definitely a nice surprise and a hearty confidence boost in the build-up to Edinburgh, and there’s the temptation to take it at face value and sit back on my shiny new PB. However, that’s not the point of this race, and this is now my foundation to build on for the summer and autumn. So, what can be learnt from this? The fact that each mile was progressively slower until mile 6 shows that the pacing has some significant room for improvement. Perhaps unsurprisingly, the first three miles were faster than the run’s average, and the last three full miles were slower – a perfect positive split. I will be exploring the function of the post-race carve-up and how to identify areas for improvement in the Foot4ward weekly newsletter. If you want to find out more about this, sign up for the newsletter here.